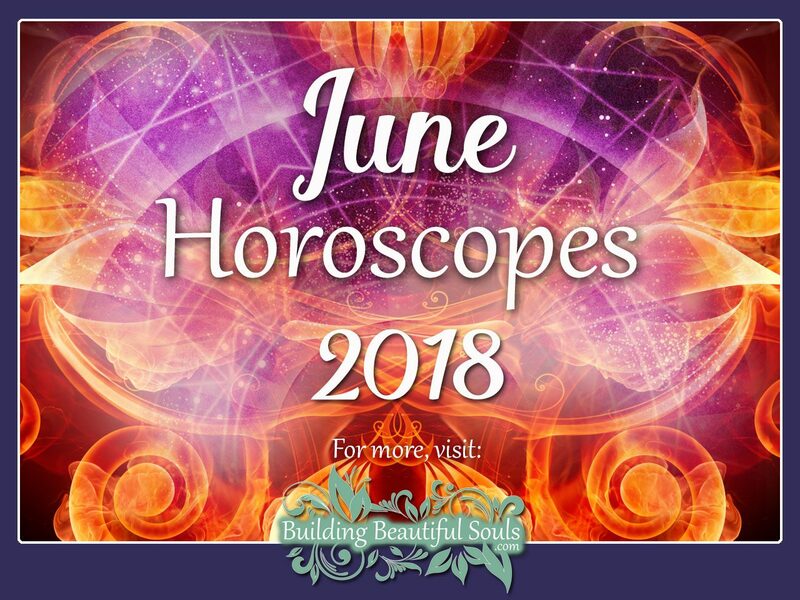 Welcome to the most in-depth monthly horoscope and astrology overview for June 2018! Make sure to bookmark us so you can come back throughout the month for a horoscope ‘check-up’. Last month there was a significant transition as Uranus entered the sign of Taurus. The influence of Uranus, the Planet of Rebellion, brings upset and considerable change. Why? Because the planet was in Aries for the past seven years. It takes 84 years for Uranus to move through the entire celestial wheel. When it returns to Taurus, it does so with a remarkable effect! In June 2018, the effects of Uranus in Taurus remain strong. The planetary influence softens on a personal scale. But, the changes and upheaval it brings will continue on a global scale! The planet has a stronger effect on an entire generation rather than a personal level. The winds of abrupt change continue for the next seven years, until Uranus enters Gemini. Uranus’ influence works with other celestial and planetary influences. It encourages expansion of awareness and new ways of thinking. In June 2018, the entire month is one where people will look at life with a new lens. It’s time for reshaping one’s worldview. On a global scale, we may note major scientific leaps forward. As long as Uranus holds influence in Taurus, it stirs up anything inert. Like the Tricksters in myth, the chaos Uranus brings is intentional and precise. The planet delivers a “cosmic shove” for those it influences. The correct measure of chaos serves as the impetus for discovering a new life direction. During the first few days of June 2018 with Venus in Cancer, emotions run high. Many people will seek relationship security. Some will crave more stability in the love sector. Singles will tap into their personal strength. It’s necessary after experiencing great internal, mental, or emotional chaos. Many folks are more receptive and sentimental this month. Everyone a person knows might prove downright touchy the first week in June. With Jupiter still in retrograde until July 10, 2018, this is an ideal time for introspection. The stars point to the benefit of alone time now. It’s a time for acts of self-love, self-healing, and mending old relationship wounds. Many people will focus on higher spiritual goals early in the month. June 5, 2018 is a day for intense physical and emotional attractions. Whether drawn to friends or a lover, the early part of June 2018 is an excellent time for all relationships. With Venus Opposite Pluto, karmic lessons arise in relationships. It’s a time for pulling up old wounds and clearing them away for good. Some people will need to take care their darker desires don’t take hold during this period. It’s a prime time for resentments and jealousies to rear their ugly heads. Such feelings may stem from old wounds and outmoded emotional codes best avoided. This month’s new moon is a New Moon occurring in Gemini on June 13. With it comes good fortune, great vibes, excitement, and fun. It’s an excellent time for lovers, family, and friends alike. The moon phase is an ideal time for project startups and for plotting out dreams. The energies emanating from the new moon linger for a full four-weeks. These energies will subside with arrival of the Solar Eclipse July 12th. But, the first two weeks following the moon’s appearance are the most powerful. June 15-18th may have folks feeling the need to hide away and spend time alone. With Mercury Opposite Saturn, old wounds have people dredging up bitterness and jealousies. Now, until the 18th, is a time for reevaluating the darker experiences one has had until this point in life. On June 21st, Summer Solstice arrives. The Sun enters Cancer. This day marks a period of exploring one’s deepest feelings. Excited energies will slow down some. As we move from the energized vibrations of spring into the lazy days of summer, energy slows. It’s time to spend more time with family, friends, and loved ones. With Venus Opposite Mars, June 21-23 brings considerable stress with it. Tensions rise, and love gets a hard push to the back burner. It’s no big deal as long as one remains patient. With Venus square Jupiter June 25th, it opens the way for indulging in pleasures. The Full Moon in Capricorn reaches its peak of power on the 28th. It is a great day for repairing debt or dedicating oneself to projects. Mercury enters Leo on June 28th. So, it opens the door to any communications related to ambitious undertakings. The fire element rules Leo. This is a time when a few temperamental souls might lose their head. Conversations can turn quick from comfortable to tense. It’s important to heed this notion if looking to avoid unnecessary melodrama. On the last day of the month, Uranus’ background influence becomes clear. With Mercury Squaring Uranus, the planet of rebellion causes upheaval with cognitive processes. It also upsets all forms of communication. Apprehension and restlessness are the cumulative result. The first few days in June 2018 will have Aries’ lusty nature emerging to the fore. With Venus in Cancer, pursuits of love and pleasure are highlights from June 1st-5th. It will stir the desire for immediate sexual gratification. So, be ready, Aries! It’s time to forge forward in high gear! Be careful though! With Venus Opposite Pluto on June 5th, Aries is prone to emotional entanglements. Aries may find there’s no stopping when thinking about a lover. It leaves Aries distracted and unfocused. It’s bound to annoy having to delay satisfaction. On June 12, Mercury enters the sign of Cancer. There’s a turbulent emotional undercurrent running under all forms of communication. It will leave one feeling scattered as Aries looks for a place to run and hide from all the melodramatics! Take heart, on the 13th Venus enters Leo, another fire sign in which Aries can relate. Here it is far easier to indulge in pleasures. It’s a good day for some downtime and to have ordinary good fun! 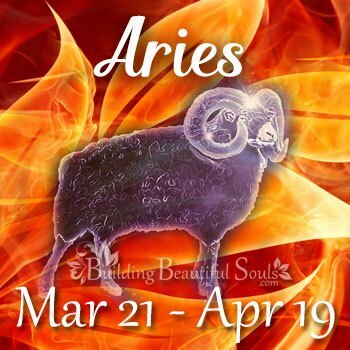 The 15th to the 18th, are days where Aries needs to monitor temperament. With Mercury Opposing Saturn, Aries slips into “warrior mode” with ease. It’s possible to be angry when there’s no need for being mad at all. When waking up wanting to take a bite out of the world, this is a good time to pull back the reigns. Summer Solstice promises a time for celebrating life and slowing down pace. It’s also the day Venus Opposes Mars, Aries’ ruling planet, so one’s love for competition increases today. Since love is not about competing with one another, this is not a great time for romance. When Mars goes retrograde on the 26th, double check what triggers anger. 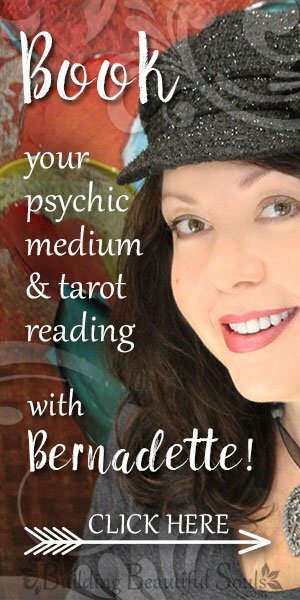 The Full Moon is the day for strategizing personal and career goals. Then it’s time to map out the battlefield and one’s next move. Healing Crystals & Stones: Seraphinite helps Aries maintain a compassionate attitude. It’s a stone Aries can use for help in letting go of negativity and building anger. It promotes internal harmony and peace. With Venus in Cancer during the first week of June, Taurus will find success in romance. Venus is Taurus’ ruling planet, so June 1-5th, is exceptional for romantic pursuits. On the 5th, feelings intensify. It is easy to get in touch with one’s creative muse. With Gemini Conjunct Mercury, the day is a great time for communicating. Try sharing deep feelings with a lover. On June 13th, Venus enters Leo, stirring up the fires of passion. 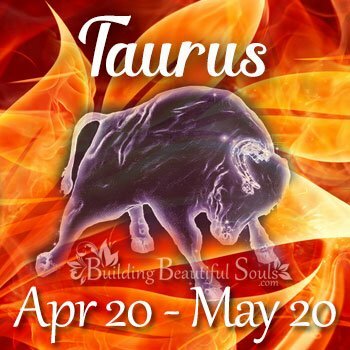 Taurus will be looking to partake in worldly pleasures and to satisfy carnal desires. Enjoy the downtime and don’t forget a few acts of self-love too! June 14th, 2018, Venus Squares Uranus. It brings disturbing energies to money issues. Today, social connections won’t go well. Taurus’ ability to communicate with others seems like it is unraveling. The 15th-18th will be a test for Taurus’ tried and true long-lasting patience. One will need to face negative conditions. It’s necessary for Taurus to deal with unpleasant emotions even when they don’t care to do so. Taurus enjoys the slowdown of vibrations as spring moves into Summer Solstice. It’s time to stop and reevaluate the things one’s been working on. Taurus takes stock. Now is the time to narrow down things to do without and let go. Discover what one needs to focus on to manifest goals. Today, Venus Opposes Mars, making Taurus want to challenge others or test their mettle. It’s best to stick to social relationships and leave romance for another day. Watch out on June 25th, when Venus Squares Jupiter. Taurus wants to partake of favorite foods and to shop until they drop! It’s likely one ends up overspending and busting the budget. Taurus puts a focus on the household budget when the Full Moon enters Capricorn on June 28th. Then, June 30th, Taurus’ typical relaxed nature gets tested by anxiety onset. Healing Crystals & Stones: Taurus can carry Blue Opal as a talisman to ensure a steady and calm demeanor. The stone encourages Taurus to speak their mind in an assertive, non-aggressive manner. The first week of June 2018 will have Geminis making the most of their intellect. It’s time to enjoy creative musings. The first and second day of June is wonderful for those in love. June 2nd might have Gemini exploring spiritual pursuits. They’ll be mapping out a new spiritual journey for the rest of the year. 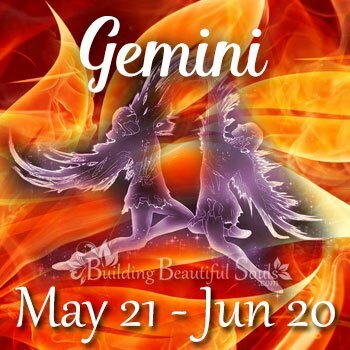 When the Sun enters Gemini on June 5th, it highlights Gemini’s communication skills. If Gemini is looking to persuade someone or win a debate, today it’s likely they’ll succeed. June 7th-9th promises positive energies and the receipt of uplifting information. The 12th shifts directions. There are emotional undercurrents that’ll have Gemini experiencing brain fog. It’s a quick return to normal on the 13th. Venus enters Leo, highlighting fun, play, and pleasures. The New Moon on the 13th, is an excellent day for Gemini to spend planning. With personal finances, today’s a day for setting plans in stone. On June 20th, Gemini’s ruling planet, Mercury trines Jupiter, the planet of expansion. It allows for Gemini to expand and improve their communication methods even further. On June 21st, Summer Solstice arrives. Normally active Gemini is apt to feel the pull of energies slowing things down. The shift from the bright days of spring into the lazy and warm summer days, has Gemini feeling a need to ground. On June 23rd, Gemini’s normally warm attitude may go dark. With this shift in attitude, communication becomes intimidating, especially when Mercury Opposes Pluto. The Full Moon in Capricorn has Gemini going to extremes. They struggle to achieve a serious approach to debt management. On the 28th, Mercury enters Leo, highlighting fierce and assertive communications. Gemini may find themselves amid melodrama because of it. On June 30, 2018, extremes-prone Gemini feels restless. They’ll feel a need to flee from mundane responsibilities. Healing Crystals & Stones: Gemini can carry Phenacite for greater access to Higher Wisdom. It helps to couple the stone with hematite to promote grounding. The first few days in June the planet of love is in the sign of Cancer. 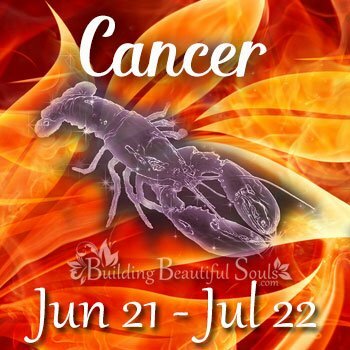 June 1st-5th, is the time for Cancer to come out of their protective shell. Cancer will find comfort and security in the arms of a lover. Communication between lovers is sweet and easy this week. If single, Cancer can take up acts of self-love and find success in spiritual pursuits. Cancer’s ruling planet, the Moon, will have them interested in the mysteries. This desire increases on the second and fifth. This is when the Sun enters Gemini. It is highlighting extremes or things on the fringe and communication. Take care on the 5th, Cancer, to avoid becoming too moody and brood. Cancer is prone to clinginess and fixation when Venus Opposes Pluto. On June 12th, the planet Mercury enters the sign of Cancer, bringing a focus on all communication. Emotions rule today and logic falls back. Today’s a day for expressing emotions. Especially those feelings so intense it has one finding words otherwise limiting. On the 13th, the planet of love in Leo makes it a day to take less seriously. Put weightier emotions aside and just have fun for a change. When the New Moon appears on June 13th, you might feel the urge to retreat into the realm of emotions. Neptune is Retrograde in the sign of Pisces. So, one might bring up old feelings and relationship hurts for reevaluation. The Sun moves into Cancer on the 21st, bringing with it Summer Solstice. Cancers will covet time with those they love. It’s a day of hope as the Sun heals while highlighting the promise of abundance and bounty in future months. The Full Moon in Capricorn is a good time for Cancer to settle outstanding emotional issues. Karmic debts may rear up looking for balance. The 28th is a day for assertive communication. It can wind up triggering uncomfortable drama. The 30th will have Cancer feeling anxious and restless without knowing why. Healing Crystals & Stones: Cancer can carry Manganoan Calcite to promote compassion. The stone encourages love of the self, and the healing of hurt emotions. It is also good to carry when dealing with old wounds and harsh realities. Early June 2018 is an excellent opportunity for any love pursuits, Leo. June 1-2nd will have lovers enjoying time with one another. Singles might finally meet their “queen” and the love of their life. On June 5th, Leo’s ruling planet moves into Gemini. The movement highlights all means of communication. Things will appear transparent now, and any answers one seeks are clear. In debates, Leo will find their ability to persuade others at its height. It’s also a day for pursuing passions. On June 12th, it’s likely there’s a bit of brain fog for Leo. Mercury enters Cancer. It causes emotions to rise to the forefront. Now, all things rational take a backseat in communications. The mild negativity lifts within 24 hours, though. The next day brings the Sun’s playful energies back into the limelight. When the New Moon appears on the 13th, it stirs up Leo’s natural competitive nature. Old conquests and enemies may suddenly appear out of nowhere just to put Leo to the test. This energy remains in play until the 20th. Here, Leo’s insightful nature shines in the communication sector once more. The 21st brings Summer Solstice. It allows Leo to feel an increase in personal energy and stamina. When Venus Squares Jupiter on the 25th, Leo basks in the slower energies of lazy summer days. It’s a time for feasting, merriment, and self-indulgence. With the Full Moon in Capricorn on the 28th, Leo’s energies remain high, and they begin to focus on what the future brings. When Mercury enters Leo on the 28th, communication is aggressive. 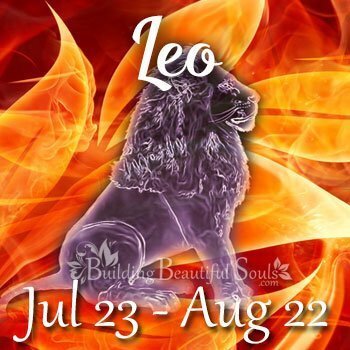 The last day of June, Leo might feel restricted or blocked. It causes anxiousness to brew on a subconscious level. Healing Crystals & Stones: Sunstone carries the Sun’s energies so offers illumination. It’s an exceptional stone for Leo to carry with the Sun as a ruling planet. Healing Crystals & Stones: Peridot is a superior stone for Leo who can take advantage of its purifying and balancing energies this month. With the planet of Love in the sign of emotional Cancer, Virgo can’t help but tap into their deeper compassionate nature the first few days in June. All acts of love, including self-love, are highlighted at this time. 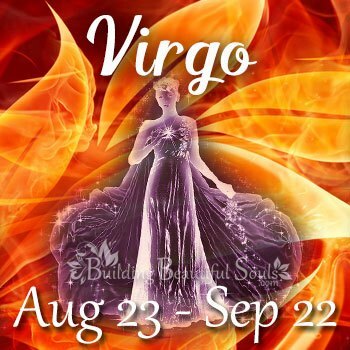 On June 2nd, Virgo feels and extra boost in creativity which serves them well on a personal and business level. Direct and clear communicating Virgo is blessed with even greater persuasive abilities on June 5th. So, if looking to convince someone of one’s position in a debate, Virgo has the upper hand. Purist Virgo will find trouble waters in the area of communication on June 12th. Focus on emotional connections leaves Virgo wanting more direct means of communication. It’s likely Virgo will have trouble wrapping their head around and emotional situation that defies all logic. Venus enters Leo on the 13th, helping to bring out Virgo’s playful side. This joy is overshadowed the next day when there are unexpected disturbances in one’s business plans. The New Moon on the 13th comes with Mars Opposing Saturn. It will leave Virgo feeling raw and a bit bitter. It’s an easy day to stir Virgo’s annoyance. Until the 21st, Virgo withdraws socially. There’s focus on inner work and reexamining one’s life path on a personal and professional level. On Summer Solstice, Venus Opposing Mars helps bring Virgo’s natural competitive nature to the fore. With Mercury Opposing Pluto on the 23rd, Virgo might bang heads with another after making unclear intimidating, comments. Now is the time to think before speaking to avoid chaos in social and work communications. The 25th will have Virgo putting a focus on obsessive organization and agenda planning, something they love doing the most. The Full Moon in Capricorn allows a focus on the household budget and cutting costs. The last day of June, while many others are restless or anxious, Virgo moves through the day’s events as cool as a cucumber. Healing Crystals & Stones: Virgo can carry Watermelon Tourmaline during the month of June for help with inner work and evaluation. The stone helps in promoting internal harmony and peace throughout the month. It’s smooth sailing for Libra the first week in June, with the planet Venus in Cancer. There’s focus on beauty, love of others, and self-love for the first five days in the week. Libra starts out the month experiencing intense harmony and peace. In social matters, communication remains excellent until the 12th. That’s when emotionally intense issues come to the fore. But, Libra’s beautiful persuasive abilities gets them through any communication difficulties. It gives one the ability to restore balance in chaotic conditions. June 13th is a glorious day for socialization. Libra can enjoy spending time with your dearest friends. The mood is light, fun, and everyone will be looking to have a good time. On the 13-14th, there’s a need to spend time alone while focusing on personal finances. June 18th brings a focus on difficult relationships. It’s time to reconsider the approach one is taking when dealing with siblings and close friends. An exploration of deep emotions may reveal a window to healing. Opportunities are put into motion on the 20th. where it’s easier to communicate about sensitive subjects. Summer Solstice introduces the perfect energies for supporting new creative endeavors. Now, Libra, is the time for launching long-held off plans in the pursuit of dreams. The 25th is a day of self-indulgence resulting in withdraw from the world. 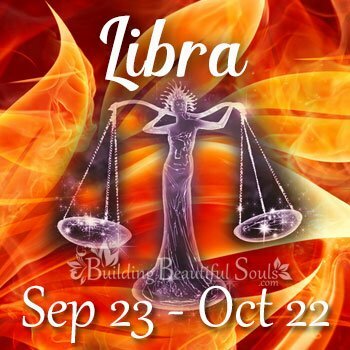 Libra may find themselves binging on their favorite foods on the 21st. It’s likely there’s a desire to break out the credit cards for a shopping spree too. On the 26th, Mars is retrograde and in Aquarius. It leads to the need for evaluating pent up anxiety or brewing anger. The desire to evaluate hidden emotions continue until the 30th. Libra’s anxiety amplifies. Healing Crystals & Stones: Libra can wear Ametrine Quartz to keep anxiety under control. Use it to alleviate mental distress and to lift the mood naturally. Scorpio puts a focus on romance the first week of June. But, be forewarned Scorpio. Jealousies are brewing under the surface. It threatens to burst forth on the 5th when Venus Opposes Pluto. Keep the green-eyed monster at bay to avoid obsessive behaviors. Otherwise, it will cause a loved one to run in the opposite direction. The same amount of attention to emotions is necessary on the 12th. Communications become unclear due to emotional entanglements. Let the dust settle before reacting to anything a loved one says. The New Moon on the 13th turns Scorpio’s focus to the financial realm. It’s also a time for focusing on intimate family connections. Now is the time to concentrate on strengthening both. A reassessment of budget and quality family time are in order. 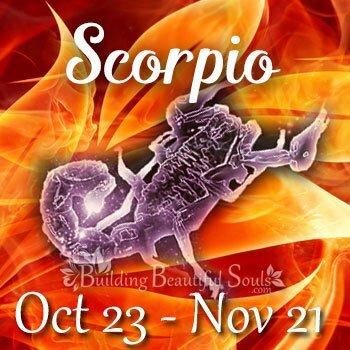 The 18th will have Scorpio diving deep into the realm of emotion for personal evaluation. It’s a time to put a plan in action to turn one’s life around or to change one’s direction. Summer Solstice stirs Scorpio’s ambitions up in the career sector. Scorpio’s natural competitive nature intensifies during this time. Making one a force to reckon with in both solo and collaborative efforts. It’s full force ahead with work projects until the 25th. Here, Scorpio benefits from a day off and some downtime. The Capricorn Full Moon on the 28th promises melodrama if one fails to pull in the reigns on emotion. Things can get out of hand when harsh words fly. Apprehension emerges on the final day in June 2018. Blinders as to what the future brings tentative feelings to the fore. Healing Crystals & Stones: Kunzite helps in calming Scorpio’s nerves this month. It promotes peace of mind and emotional control. Early in the month, Sagittarius puts a focus on love. This remains the focus until the 5th when things become tense emotionally. Sagittarius’ desire for clear and direct communication is overridden by complex emotional entanglements. As such, it does well for Sagittarius to concentrate on life transformation. It’s time to remove the spotlight from romance, at least temporarily. Be forewarned Sagittarius. June 12th is another day where intense emotions make communication ambiguous. Tread lightly in matters of love. Midmonth with the arrival of the New Moon brings with it a bit of chaos in the area of family and home. Sagittarius will feel a need to withdraw and to retreat into the safety of isolation. Too many melodramatics has one running in the opposite direction. This temporary influx of negative vibes lasts up until the 20th. The first day of summer lifts the negative energies. At last, Sagittarius gains a sense of relief and a chance to breathe again. The entry of summer lets Sagittarius return focus to family issues and balance in the home life. 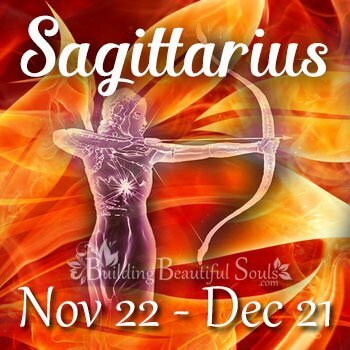 The practical side of Sagittarius comes out with home building or remodeling projects. Things remain a touch rocky in the emotional realm. But, Sagittarius excels in all things tangible or logical. On the 25th, Sagittarius feels adventurous and dives deep into the realm of emotion. It’s a day for basking in the light of love and affection. The Capricorn Full Moon shines on the financial and business aspects on the 28th. All things money-oriented are empowered now. It’s time for balancing the personal budget or balancing the books at work. By the end of the month, Sagittarius stands strong financially. Romance stabilizes by the 30th allowing Sagittarius to relax. The last day of June opens up for Sagittarius to have an adventure or two. Sagittarius is happy to do so without guilt or anxiety getting in the way of having a good time. Healing Crystals & Stones: Lemurian Seed is the perfect amulet for Sagittarius. It helps to tune into one’s deepest emotions and desires. It encourages finding internal balance to restore external harmony. Yes, the beginning of June 2018 is a great time for love. But, Capricorn will be walking on thin ice the first five days of the month. Capricorn take warning! When dealing with emotional communications, it’s time to bite one’s tongue and curb the sarcasm. What might seem funny will end up hurtful to the one you love, who takes everything a bit too seriously. The 14th will have practical Capricorn focusing on personal finance. Time to get the home budget in shape. Midmonth calls for Capricorn to take a day of downtime. If working all the time, it’s a great day for playing hookie. Capricorn can lose themselves in the pursuit of a hobby or some other passion. On the 13th, the New Moon will have Capricorn wanting to be alone anyway. On June 20th, be careful not to become too touchy or moody. Communication is an area where things can become sensitive. Being out of balance, it may cause overreaction in a situation at work. The 21st brings the first day of summer. Here, chaotic energies slow down during the shift from spring to summer. 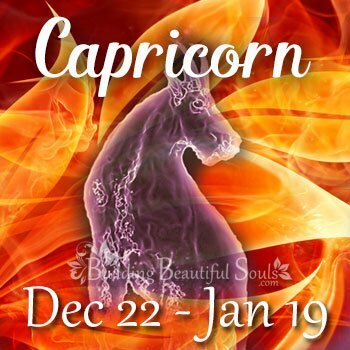 It’s perfect for Capricorns looking to launch new business projects. Now, emotions warm up and everyone’s breathing a compassionate vibe. When Mars is Retrograde in the sign of Aquarius on June 26th, your pessimistic side emerges. It may leave you wanting to tell the entire world to take a long jump off a short pier! Hold back on that poisonous pessimism Capricorn. Otherwise, it leads to melodrama on the 28th when fiery sentiments increase negativity. June 30th will have Capricorn feeling levelheaded while others are stressing out. The key characteristics for this day are persistence and resourcefulness. All if it lends to a natural sense of calm. Healing Crystals & Stones: Smokey Quartz is the ideal healing stone for Capricorn in June 2018. It helps in maintaining positivity in the face of negative emotions. It will also help diminish stress and keep the meaning of communications clear. Aquarius will find the beginning of June is smooth sailing in areas of love. Yes, you prefer independence and autonomy even when in a relationship. But, the first five days of the month will have Aquarius very much a smitten kitten! Spending some downtime cuddling at home is ideal. Also plan for a few romantic evenings out! It’s true. Others are still recovering from the chaotic energies the Uranus transit during May. But, Aquarius feels right at home. Why? Because Uranus is the ruling planet of adventurous Aquarius, of course! 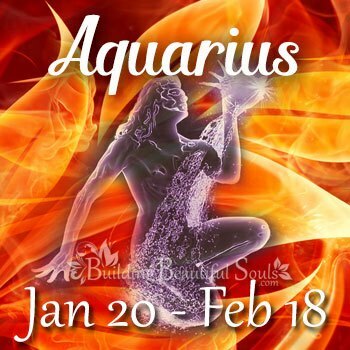 Aquarius forges forward with increased interest in all things on the fringe! The 5th of June has Aquarius focusing on their greatest passions and interests. The concentration is so intense it is to the point of near obsession. Great adventure awaits risk-taking Aquarius on June 13th. It is when Venus enters the sign of Leo. Here, Aquarius’ natural, playful nature comes to the fore. The energies encourage Aquarius to enjoy their flare for the dramatic. The New Moon on the 13th has Aquarius displaying their typical fear of commitment. Really, there’s some underlying resentment Aquarius needs to acknowledge. It’s best to avoid the desire to isolate oneself. Communication between Aquarius and a romantic lover improves by June 20th. Here, Aquarius tunes into the emotions of their partner and becomes more empathetic. The first day of summer will have Aquarius and their partner making plans for the future. Aquarius will be putting measures in effect for significant change. If Single, it’s time to socialize and engage with others. The shift from spring to summer is a window in time. It opens to a potential soulmate connection for forward-thinking Aquarius. The 25th triggers the desire to self-indulge and let loose. The footloose, fancy free energies slowly dissolve. High energies die down with the arrival of the Full Moon in Capricorn. Now, Aquarius turns to take things more seriously. The end of the month’s Mercury Squaring Uranus doesn’t leave Aquarius as unsettled as other signs. But, it does promise some quiet time and introspection from normally talkative Aquarius! Healing Crystals & Stones: Chrysocolla is a stone Aquarius can carry for inspiration in creative undertakings. The stone promotes relaxation, personal strength, and self-love. June promises to continue offering Pisces the opportunity for making huge changes. The chaos from Uranus’ transit into Taurus in May continues to have an effect Pisces. For a full five days, Pisces will have the opportunity to tighten a love connection. It’s the perfect time to meet a mate if wallflower Pisces doesn’t already have one. Yes, those born under this sign prefer to hide in the safety of the emotional realm. But, love leaves its calling card and the desire for change is too great now. On June 5th, Pisces returns to obsessive behaviors and hiding feelings. 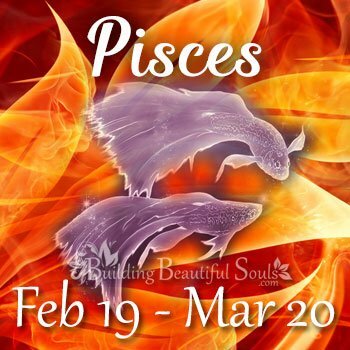 Pisces allows feelings to reemerge for a short time on the 12th. It’s a time when the communication planet enters into emotional Cancer. At the same time, Pisces will present with moodiness and brooding. They’ll need to take care not to revel in pessimism. It takes a full day to a pessimistic perspective around. But, on the 13th, the planet of love moves into Leo allowing for the more playful and joyous side of Pisces to shine. Two days later, it’s back to one’s happy sense of isolation and hiding. It’s like a trip through the Underworld. Pisces spends the next three days, from June 13-18th, focusing on the past. The journey results in reconciling emotions. On the 19th, Pisces pokes their head out again, allowing emotions free flow. The 21st has Pisces looking to the future and all the promise of summer. They’ll feel the need to step of their game in the money and love sectors. It’s best to focus on money and career now. Success happens in new project launches and collaborative work efforts. The Full Moon in Capricorn puts a serious focus on balancing one’s personal budget. If in a relationship, the 30th of June may leave Pisces feeling smothered. Take time away just so you can catch your breath. Healing Crystals & Stones: Golden Quartz is a suitable stone for Pisces to encourage spiritual development. It helps the wearer acknowledge the Divine Source within. It’s also great as an amulet for those who are mapping out their future.